A fake athlete was arrested on Sunday after he tried to con his way to fame and wealth during the annual standard chattered marathon at the Nyayo stadium by appearing out of nowhere and running the last stretch in front of the first athlete. The organizers of the event immediately singled him out after the finish of the race when they suspected something and went on to scrutinize him when they found out that there was no evidence that he had run for the whole race. 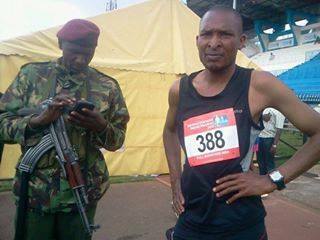 The race which was a 42 kilometer marathon had a reward of Kshs. 750,000 which made Njogus eyes shine with dollar signs.